I picked this book up on the advice of Jon Bius of agapemodels.com and was very glad I did. This slim volume is a biography of James "Stocky" Edwards and his time in the RCAF flying Kittyhawks, Spitfires, and Tempests targeted to young readers. While not as expansive as Edward's autobiography "Kittyhawk Pilot" this is a quick, breezy, and fun read even for adults. (As it is a children's book, most adults should be able to finish it in one sitting.) 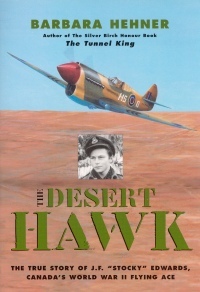 Stocky served with the RAF in the Desert Air Force and the majority of the book focuses on his time in Kittyhawks, though his time on Spitfires is also covered. (Sadly the Tempest only gets a mention in passing.) About the only flaw I found with the book is that a photo caption of Mr. Edwards in front of a group of Tiger Moths is mis-captioned as being in front of Harvards. (NEVER misidentify the Harvard!) 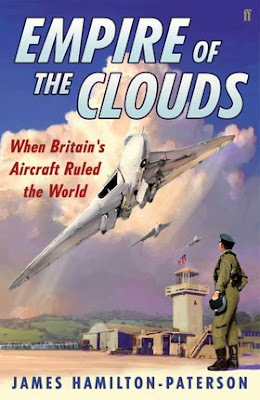 I also wish the author had spent a little more time on Stocky's post war exploits flying Vampires and Sabres. Highly recommend to young readers interested in the RCAF, as well as their parents too. This scratchbuilt 1/72 Nieuport 17 is amazing. Beautiful model. 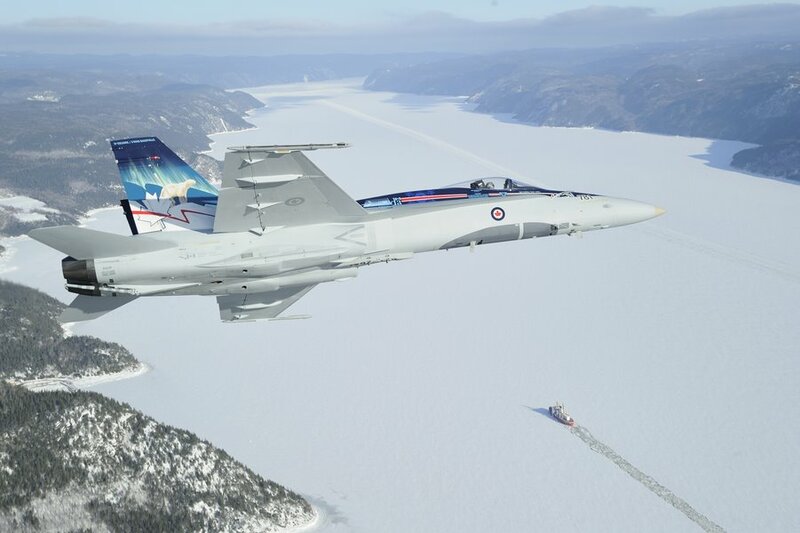 This rather interesting book is a combination memoir, biography of Canadian test pilot Bill Waterton, and indictment of the British aviation industry. Hamilton-Paterson tells the story of a bloated industry that started out with such promise, but was able to squander that promise through inefficiency, political meddling, and just plain ignorance. (It is shocking to read just how many prototypes were scrapped just before flight testing was to begin.) 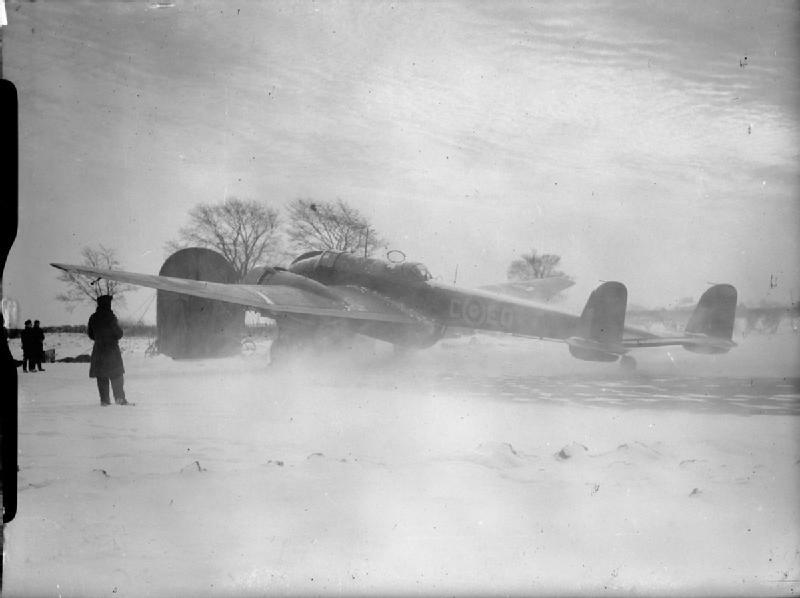 Oddly, it seems the engineers were successful in-spite of themselves and the RAF never insisted that they had a functioning product before taking an aircraft on strength. (For example early Hunters that couldn't actually fire their guns.) 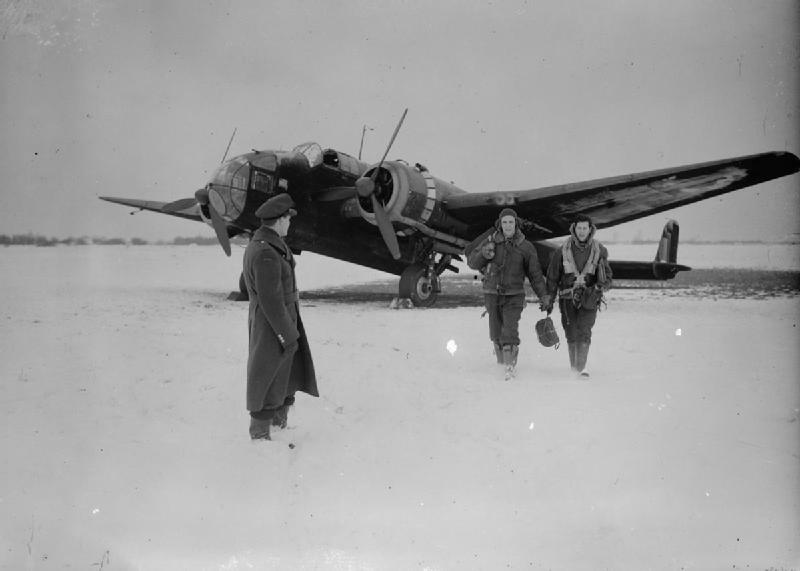 The sections on Bill Waterton are quite eye opening in that his employer Gloster seemed to not value any of his input as Chief Test pilot. Cockpit ergonomics, heck at times pilot safety, didn't appear to be of much interest to the industry. (Let alone paying a living wage.) There area few hilarious stories, such as the Valiant being built on a field without a runway that the Valiant could be operated from, the the need to end flight testing in order to not miss lunch. 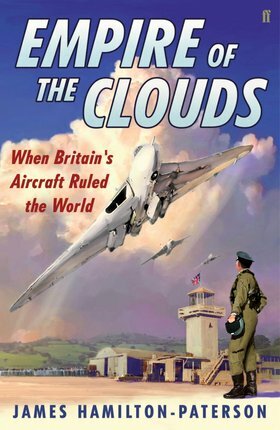 It appears that many British lament the failures of their aviation industry, and often blame the politicians, but it appears that they were only part of the problem, and there was much blame to go around and much of it may be placed on the aviation companies themselves. A fascinating and enjoyable, but very British read. Modeler's Note: There are two kits of the Hampden. The Airfix kit which is short on detail with raised panel lines and the newer Valom kit. The Valom kit has much better detail and recessed panel lines, but all reports say it is a tough build with ill fitting clear parts. 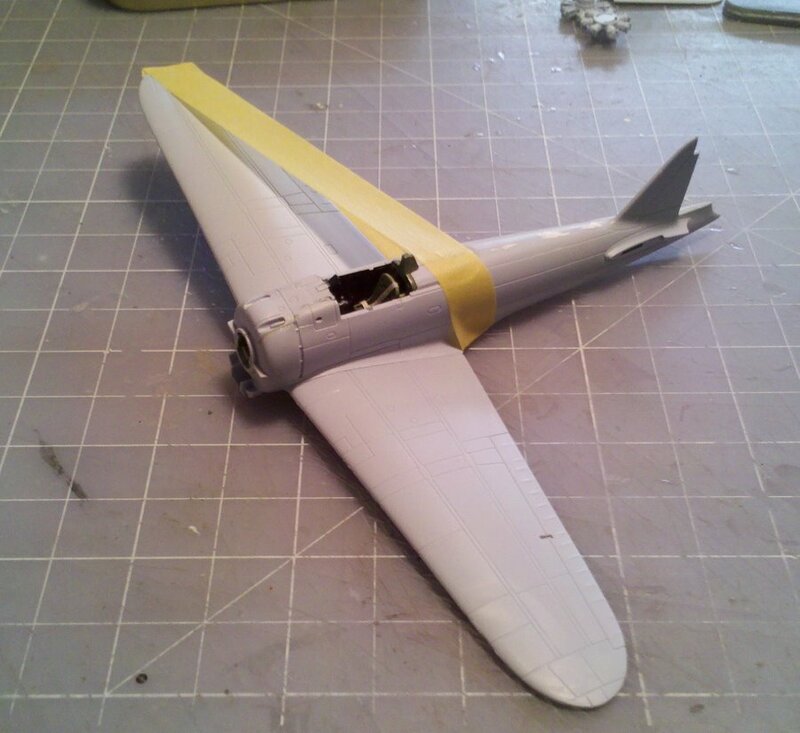 I'm happy I have an Airfix kit set aside with Aeroclub engines as it seems like it may be the easier build. Actual progress at the bench! 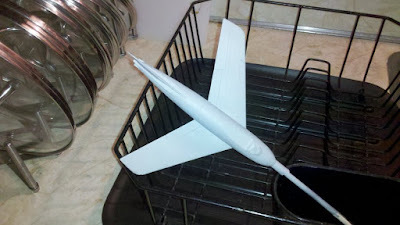 The Airfix Sabre 5 has been primed. I think I'm going to finish this up as Hawk One during its last stages of life with the RCAF. Might even experiment with SNJ polishing powder on my usual Tamiya spray can silver. The Airfix Zero is moving swiftly. I've had more fun with this kit then anything I've build in quite a while. 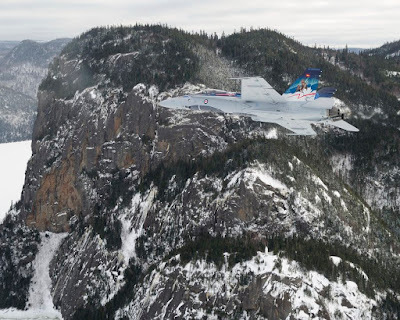 Maybe my new found interest in Japanese aircraft is a good thing, as it is a topic I know nothing about. 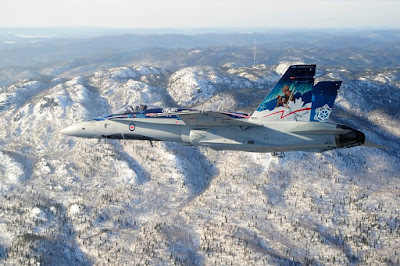 Since it is not RCAF or RCN I'm not AMSing or obsessing over details and/or markings, so I can just get on enjoying the build. Plus it is a damn nice kit.